Are you planning a destination wedding on Cape Cod? Maybe you live on Cape Cod and need a place for all of your guests to stay? We have just the right wedding venue for you! We offer our entire motel for weddings. 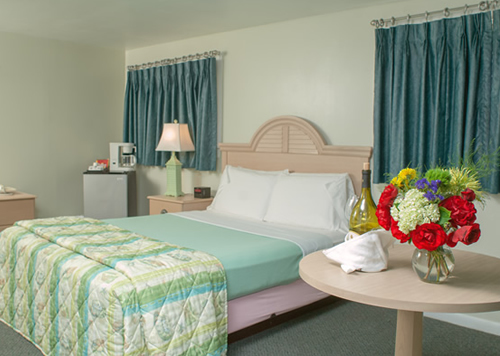 You can reserve the entire motel, all 32 rooms and enjoy a private wedding with your entire wedding party and guests all while enjoying the indoor pool, hot tub, sauna, outdoor pool, bbq fire pit, playground, complimentary bike rentals and a complimentary breakfast each morning. The property can sleep up to 100 people and there is even enough room to have a tent placed on the back parking lot that can accommodate up to 100 people. The bride and groom will get the BEST room(s) at the motel, with plenty of space for all of the wedding preparation needs. In the Bridal room, you can enjoy: a full length mirror, bottle of champagne, wedding dress hook, additional lighting and a blank property map for easy guest room assignments. The entire motel can be rented during the months of: May, June, September, October and November.